Over 100 nations identify forest conservation and restoration as part of their strategy to fight climate change, something Forest Trends’ founding President and CEO Michael Jenkins considers a major milestone. And as 2016 winds down, Jenkins reflects on the 17 year history of Forest Trends, the progress the organization has made and the work that it still intends to do. 29 November 2016 | On November 19, the 22nd Conference of the Parties of the United Nations Framework Convention on Climate Change (COP 22) ended in Marrakesh. It was at COP 21, just last December, in Paris that 195 countries came together to adopt the historic agreement to mobilize global action against climate change. Many called it the most important treaty ever. Working at the front lines, Forest Trends fought to ensure that forests were at the center of the Paris Agreement, and now over 100 nations have identified forest conservation and restoration as part of their strategies to fight climate change. Indeed, simply conserving and restoring our world’s forests could carry us a quarter of the way toward avoiding catastrophic global warming. The result of this month’s US election threw a pall over the meetings in Marrakech and could potentially represent a major setback to these efforts. Regardless of how they voted, a radically changing climate will affect all Americans, whether they live in a coastal bubble or the middle of the country. Indeed, every person on the planet, regardless of race, gender, religion, or political bend, is vulnerable to climate change, but it will have greater effects yet on our children, and even greater effects on their children. Developing tools and processes that enable civil society and partners to demand transparency and accountability of our governments. The treaty agreed to in Paris has commitments by each government to act, and we need to hold them accountable. Even now as uncertainty looms around U.S. participation, other nations have redoubled their commitments. With our unique expertise in finance for forest protection, Forest Trends will continue to play a key role in helping establish and implement a roadmap for effectively and transparently implementing these commitments. 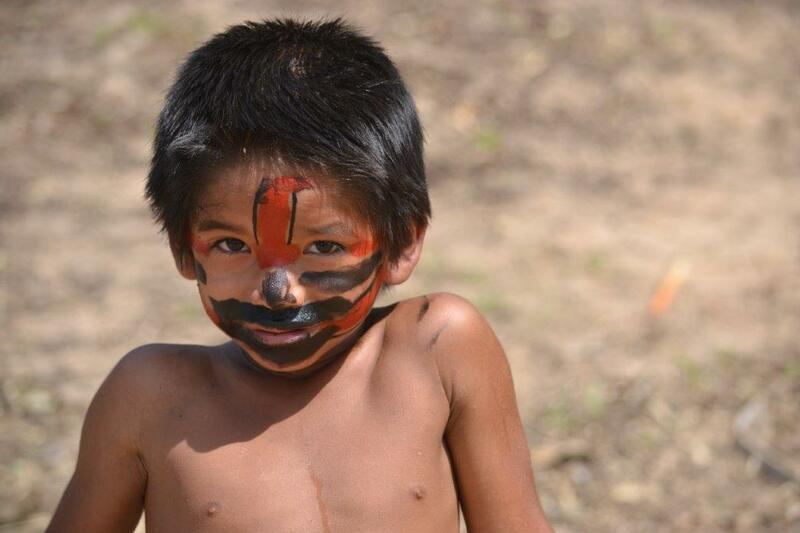 Empowering and providing economic opportunities for local communities and indigenous peoples all around the globe. 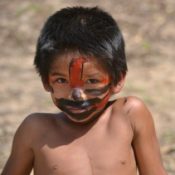 Our work with the Yawanawa, Surui, and other communities in the Amazon point to a powerful model to support the grassroots communities who have the experience and wisdom to manage our natural resources and planet. The video “Voices of Acre” exemplifies our efforts to help these communities continue their critical role as forest stewards, secure their homelands, and access new economic opportunities while honoring their traditions. While the federal government may step back from leadership on protecting our forests and water and fighting climate change, history has shown that states and cities step up to help carry the torch. Over 1,000 states, provinces, cities, and towns have launched efforts to protect our environment and combat climate change. Forest Trends is actively supporting some of these “subnational” efforts from states in Brazil, Peru, Colombia, Mexico, and Indonesia, to California. These pioneering efforts will demonstrate how to implement truly sustainable development approaches that provide growth and prosperity while sustainably managing our vital forests, oceans, rivers, and biodiversity. Another important ally that can help carry the torch is the leadership in the business and finance communities. This is not our parents’ private sector, and it is very different from even a decade ago. More and more companies are recognizing that climate change is bad for business, driven by concerns about regulation of greenhouse gas emissions, risks to their long-term sustainability of resource supply, and soaring costs of storm and drought damage. Recently, more than 360 leading businesses and investors called on the President-elect to support agreed-upon reductions in greenhouse gas emissions. An area where the businesses are stepping up is around forest protection, as hundreds of leading businesses have made commitments to remove deforestation from their commodity supply chains. Forest Trends is the leading organization tracking and providing transparent information on these commodity pledges, as well as on broader investments from the public and private sectors in forests, water, and biodiversity. Our Supply Change project publicly tracks deforestation-free commitments from over 500 companies – and counting – while each year our Ecosystem Marketplace initiative produces the most authoritative analysis of global markets for forest carbon and other ecosystem services. Our path forward is clear. The forces that we count on are many, and the outcome can only be successful if we are to have a planet worth living on. In this season of compassion and generosity, I hope you will continue to support Forest Trends, so we can continue this battle together. Thank you for making a crucial gift to support our work at this important time.